Our Hyatt House hotel features rooms and suites smartly-designed to make you feel right at home during your stay in Falls Church. 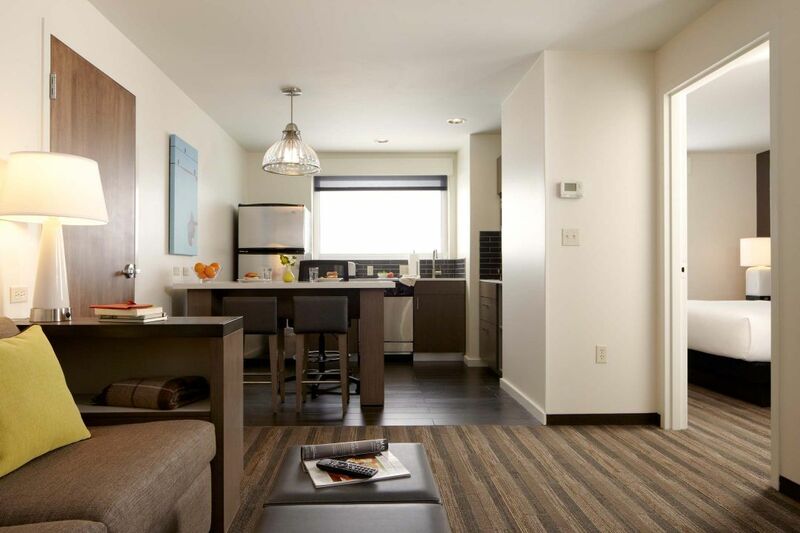 Our spacious rooms are sure to delight with modern lifestyle amenities and touches of home like our plush Hyatt Grand Beds® and 42” flat panel TV. Guests will enjoy laundry and same-day dry cleaning service in addition to room amenities including in-room coffee, microwave and mini refrigerator, and fully-equipped kitchens in select suites. Spread out in this 771-square-foot suite featuring one king bedroom and a corner soaking tub, as well as a hosting kitchen and a large marble credenza for entertaining. Relax in this spacious 525-square-foot suite, with one king bedroom, a living room with sleeper sofa, and a fully equipped kitchen. This studio suite features one king bed, a living area with sleeper sofa, and a fully equipped kitchen, all set amid 423–427 square feet. This 525-square-foot accessible studio suite features one king bed, a sleeper sofa, a fully equipped kitchen, and a bathtub. Enjoy the extra space in this accessible 767-square-foot suite complete with one king bedroom, as well as a hosting kitchen and a marble credenza for entertaining. Spread out in this accessible suite featuring one king bedroom, a roll-in shower, a sleeper sofa, and a fully equipped kitchen, all set amid 525 square feet. Unwind in this 391-square-foot room, with two queen beds and a separate workspace. Unwind in this accessible room featuring one king bed, a separate workspace, and a bathtub, all set amid 342 square feet. Relax in a spacious room featuring one king bed and a separate workspace, all set amid 342–349 square feet. Relax in this accessible room, with two queen beds, a separate workspace, and a bathtub, all set amid 391 square feet.